Jack, the fully programmable robot mouse, is ready to follow commands to teach hands-on coding concepts! 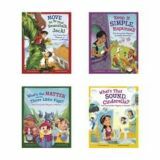 Create a step-by-step path for Jack using the 30 double-sided coding cards to provide the perfect introduction to coding concepts. 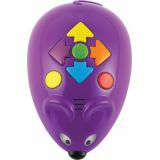 Jack lights up, makes sounds, and features 2 speeds and colorful buttons to match coding cards for easy programming and sequencing. Set includes Activity Guide. 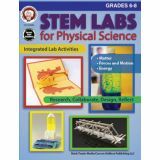 Jack can also be used with the STEM Robot Mouse Coding Activity Set (LER2831) for more play options, learning opportunities, and fun! Jack measures 4"L and requires 3 AAA batteries (not included). 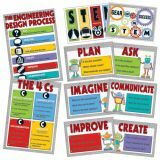 This activity kit challenges students to create a balloon powered vehicle. 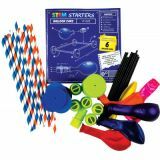 The essential pieces, balloons, plastic nozzles, straws, foam wheels, and plastic rods are provided; it's up to the young scientists to determine the best materials to use in order to propel their vehicle effectively. 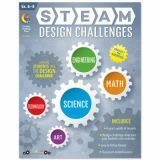 Using the engineering design process students will create, evaluate, and redesign their simple machine until their objective is met. Includes enough materials to begin 6 balloon cars. 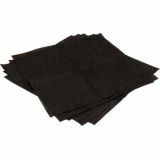 60 pieces total. 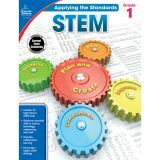 This activity kit challenges students to create a hydraulic-powered device. 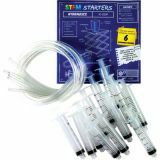 The essential pieces, plastic syringes, and vinyl tubing are provided; it's up to the young scientists to determine how best to utilize their hydraulic system. 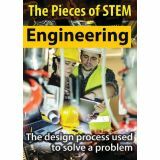 Using the engineering design process students will create, evaluate, and redesign their simple machine until their objective is met. 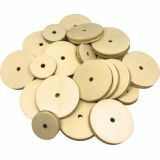 Includes enough materials to begin 6 hydraulic devices. 18 pieces total. 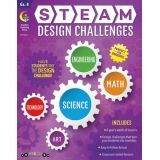 The STEAM Design Challenges in this book follow engineering practices to teach students in Grade 4 to solve a problem by designing, creating, and justifying their designs. They also allow art to support and enhance the learning of science and math while the engineering process is followed.